So it’s done. 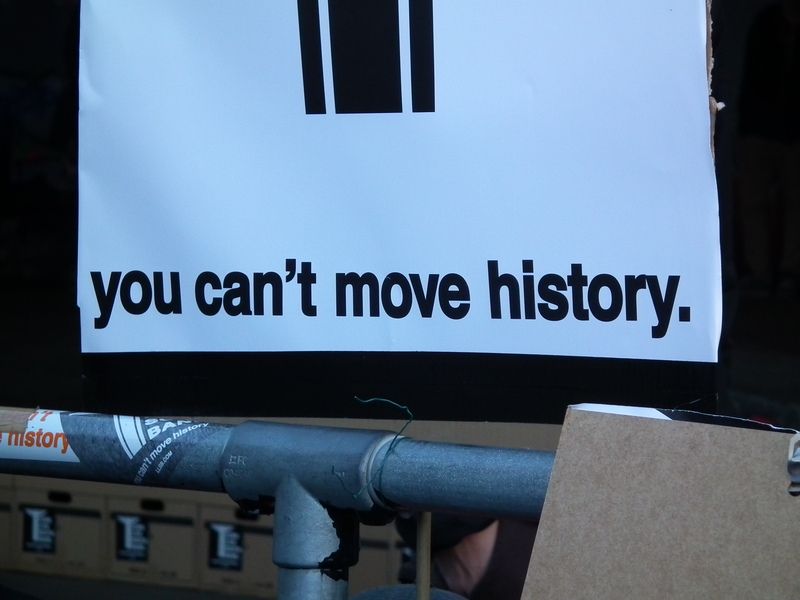 20,000+ petitions submitted from the Long Live Southbank campaign to Lambeth Council, apparently the largest number of objections ever raised to a single planning issue in the UK (see the ITV “news” segment on it here or the BBC one here). To be sure, there is no guarantee that it will work because as is painfully obvious in contemporary urban politics, the voice of the many is more often than not outweighed by the few writing the cheques. 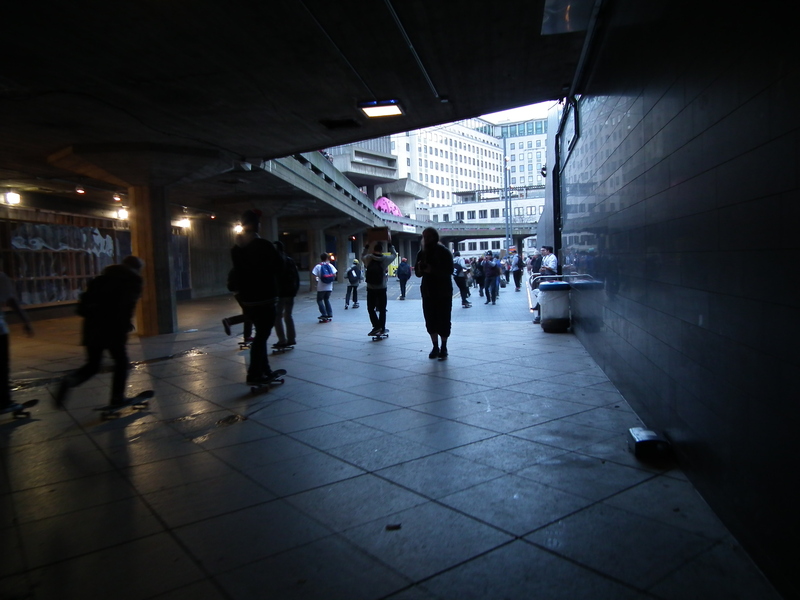 I have written on this blog previously that the undercroft skate spot that has been there since the 1970s is microcosmic of how urban subversions proliferate and reconfigure the urban spaces around them. And the current planning proposals of the South Bank Centre (including the proposed ‘urban arts park’) is again representative of how large-scale urban development programs subsequently appropriate subversive urban practices for economic and commercial gain. 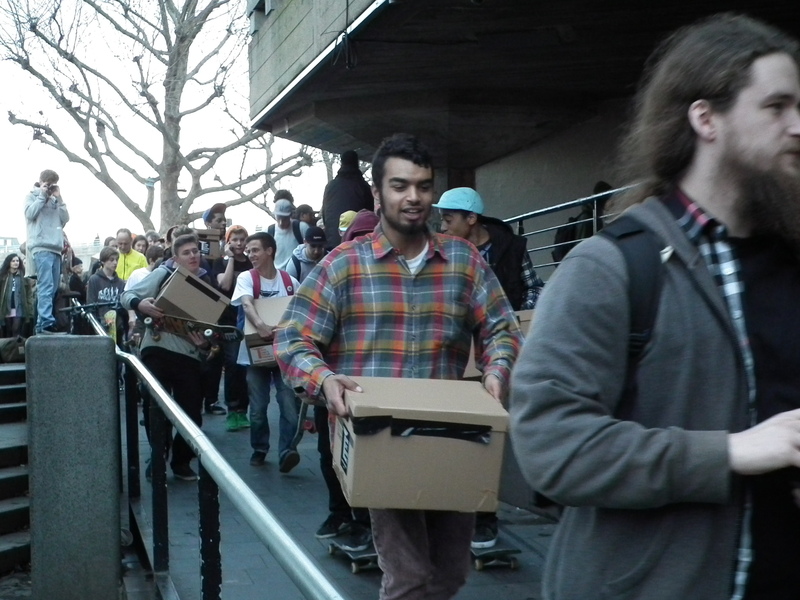 Whatever your stance on the stake park and the LLSB campaign, there is little doubt that it has been a collectivising event – something which has stirred up action amongst a wide-range of people. Today, I saw and spoke to people young and old, families, male and female, ethnic minorities come together to send a single message. For many of these people, it was their first engagement with the political system, their first act of wilful citizenry, their first engagement with their city and the hegemonic powers that are attempting to change it. 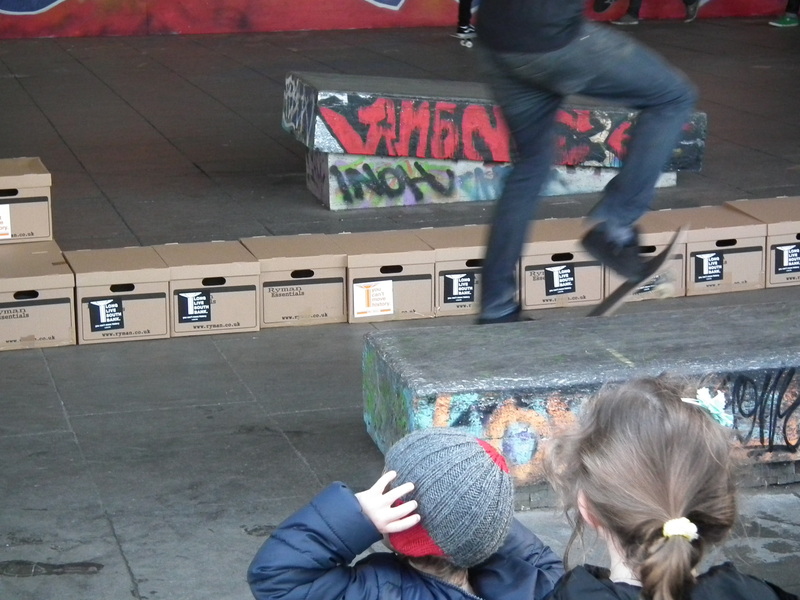 If only for this reason alone, the LLSB campaign must be applauded. Enlivening people (some as young as 7 or 8) to became active participants of their city can only be a good thing, and it is engendering a community of like-minded individuals to not only share a similar past-time, but also to collaborate and participate in collective activism. This requires compromise, the ability to listen, respect and social temperance – qualities that are rarely espoused by the Society of the Spectacle. So, whatever the outcome of the campaign, it has already done immeasurable good. If the undercroft is preserved, such a community will have the opportunity to flourish and ossify these qualities within those who fought to keep it. Such a community of practice is sadly all too rare in our cities, so it is refreshing to see and should be celebrated. Discussing Calvino’s Invisible Cities, Purcell (2013) argues that, in a city of inferno, we need to recognise the not-inferno, nurture and encourage as it constitutes a path to a more socially just, radically democratic urban society. 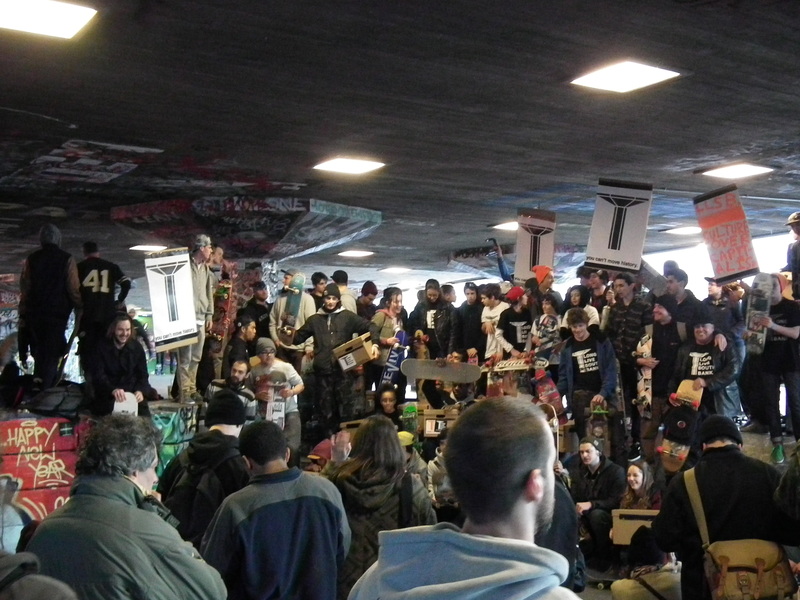 The LLSB campaign is to be encouraged and supported because it recognises the ‘not-inferno’. 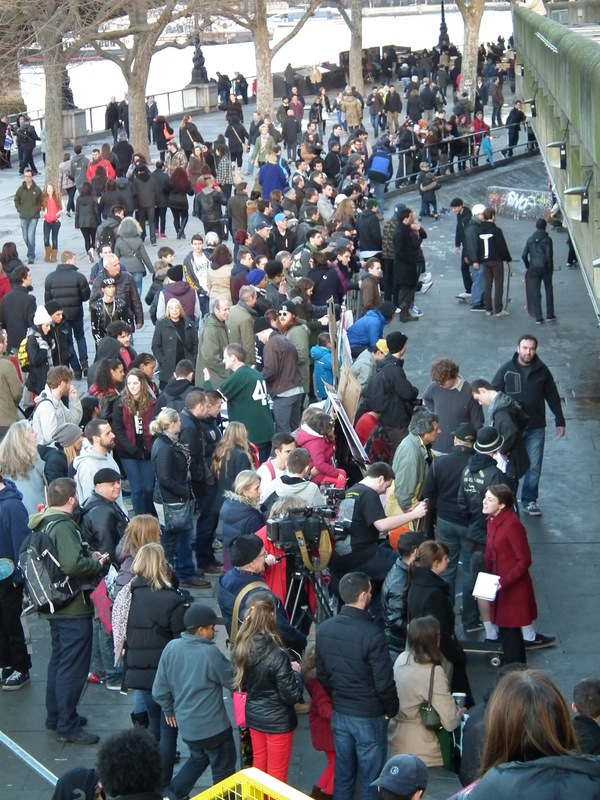 It shows that the city is to be engaged with, not passively consumed. And for that, they deserve a huge amount of admiration, respect and support. 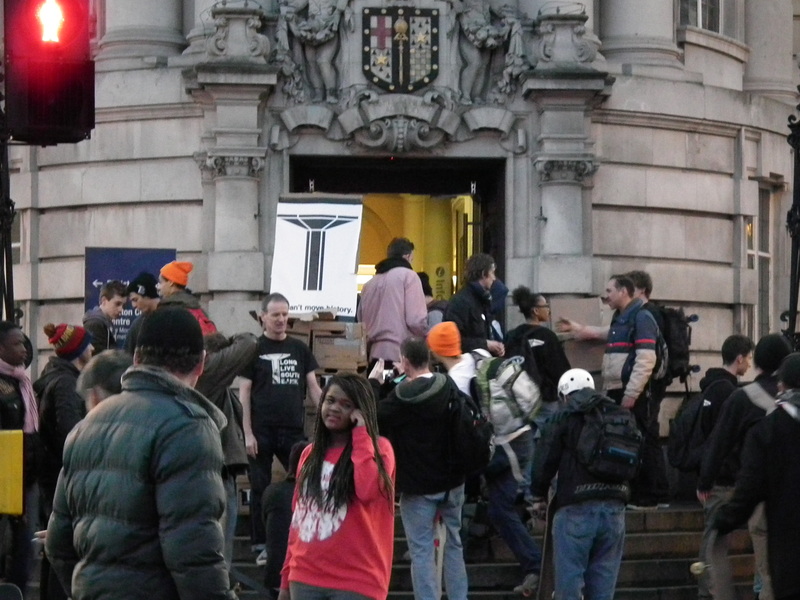 Categories: The Undercroft | Tags: long live southbank | Permalink.